Western Kentucky University: A new restaurant called Freshens, a chain promoting healthy options, opened in the Tower Food Court Monday. 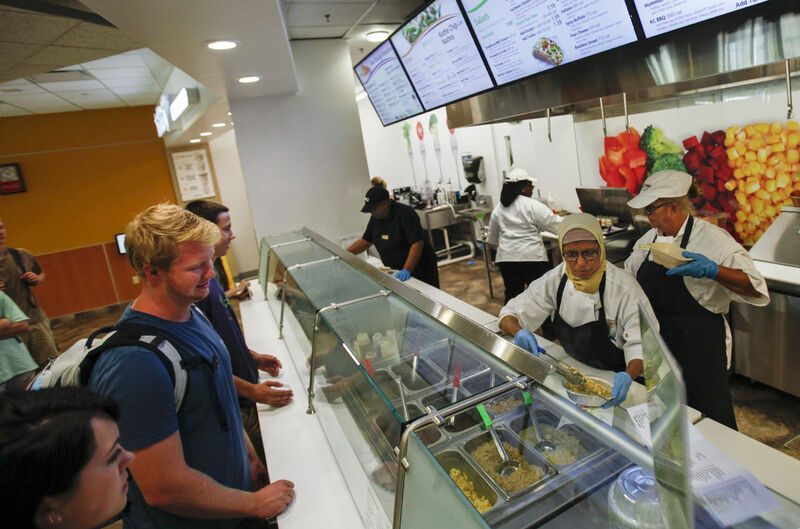 Freshens’ menu offers choices such as crepes, salads, smoothies, yogurt and even rice bowls like the ones served at Burrito Bowl, a subset of Freshens housed in the Downing Student Union. Before this addition, Tower Food Court held Burger Studio and a Juice Blendz in the area where the new restaurant now resides. Steven Hoyng, resident district manager for Aramark, hopes to add more variety on campus with the addition. Hoyng noted that while Freshens offered a healthier alternative, it also added something its competitors on campus didn’t: different meal swipes. “Chick-fil-A for example. You get a fried chicken sandwich, fries, and a drink. At Freshens, there is more than just one type of value meal. We are always looking to provide options, especially ones you can get with a meal plan,” Hoyng said. Juice Blendz was something Hoyng said the students enjoyed, and hoped the smoothies at Freshens were just as enjoyable. Freshman Austyn Piccioli of Lexington, confirmed Hoyng’s hopes. “I’m glad they finally opened because their smoothies are really good,” Piccioli said. Smoothies, as well as value meals, are available for a meal swipe. Smoothies come in Wild Strawberry, Maui Mango, Tropical Therapy, Caribbean Craze, or Mango Me Crazy. Value meals include Greek Salad, Hummus Crepe, Pepperoni Pizza Crepe, Spicy Korean Rice Bowl, Buffalo Rice Bowl, Cajun Rice Bowl, KC BBQ Bowl, or Four Cheese Epic Mac ‘n Cheese. Each comes with a fountain drink. Reporter Kylie Carlson can be reached at 270-745-6011 and kylie.carlson15@gmail.com. Follow her on Twitter @kentuckylie.